It takes an around-the-clock effort to keep your practice’s doors open and often proves to be an uphill battle. No matter how hard you may try or how many hours you may work, getting your practice to grow can be even more of a struggle. Have you stopped to think that there might be, has to be, an easier way? If you have, then you’re certainly right—there is an easier way to manage and improve the processes in your practice. 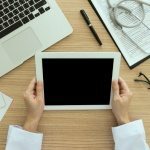 Many practices are now required to use electronic health records (EHR), so you are likely familiar with incorporating technologies into your daily procedures. You can use this technology to help regulate and develop your business. By using practice management software, you can improve the processes within your facility and it can ultimately help you grow your practice. What is practice management software? Practice management software is a system that helps you monitor and regulate daily activities happening in your practice. You can use this software for nearly everything, from scheduling appointments with new patients to managing billing after their visit. Medical professionals can also use this software too, so that you and other practices are all on the same page when it comes to daily and long-term goals. Different forms of this software can be tailored to suit the needs of your practice. This can come in handy for specialty practices and facilities that have a high volume of patients. More often than not, these systems are backed by a professional billing company so that you always have someone to call if a question or concern were to arise. Because this software can streamline operations, processes from administrative to clinical can be improved in your practice. Regulating the flow of work within the office allows everyone to work more efficiently and get more done in the work day. With this elevated level of collaboration, growth is more achievable and goals seem more obtainable. Patient experience can also improve as a direct result of more organized processes. Waiting times can be cut down, their information will be stored in the system, and billing is a smoother process. When your patients are happy, and your employees are keeping everything on schedule, it will improve and advance the capabilities of your practice. Practice management software will also help you stay compliant with certain requirements. You will be demonstrating meaningful use with your EHR and management software as well as keeping track of how your practice is performing. If you find that you are not meeting certain goals or requirements for one area, you can more appropriately resolve the issue. You will also be more aware of your practice’s finances, so that there are fewer surprises each quarter. And when you work with a professional billing team, they are often doing everything they can to keep you ahead of the curve when it comes to compliance obligations. As a result of improved processes, less time is spent worrying about compliancy and more time is spent with patients. This could lead to increased revenue in your practice. With a system that manages your practice’s procedures, you can be more involved with financial responsibilities. This will give you the opportunity to take advantage of incentive programs and set higher financial goals. Like compliancy, you can have the chance to detect areas of your practice that are not contributing as much, and you can make decisions on how to improve your facility. Plus, with improved billing process, you can gain revenue in a more efficient manner. Patients are likely to have a better experience at an improved practice. In such a competitive market, it is important that your patients walk away happy because it could increase business. With tools that allow patients to rate offices online, potential patients will have the opportunity to compare you to other facilities. Good reviews could mean you are more likely to see an increase in patients. Practice management software could help you make all of this possible.